I have been collecting coins off-and-on for over 35 years. I started searching my father’s change for wheat back cents and silver dimes, which were disappearing in the late 1960’s. When I started delivering the local afternoon newspaper, I was filling the holes in my blue folders. Later, my father helped complete a set of silver Roosevelt dimes by purchasing the missing coins and album from a dealer. Like most people who started at a young age, my interest waned as I found other interests. As a poor college student, the saving of my pennies went to play penny-ante poker on the weekends in the dorm with the winnings going to after game libations. As I entered the workforce, I began to hunt through my change looking for the rare silver coin, wheat cent, bicentennial quarters, and the odd foreign coin. When the American Eagle program started in 1986, my father began been buying American Silver Eagle proof for me as they are released by the US Mint. Thanks to him, I have a near-complete 20 year proof set—mission only the 1995-W 10th Anniversary Proof. Regardless of the difference that exist between father and son, coin collecting is one thing we share. Our collections may differ, but we have an interest in many of the new coins issued by the Mint. Then, with the 50 State Quarters® program and looking for something to do after my first wife died from cancer, I jumped back into coin collecting with both feet. A few weeks ago, my father and I were talking about the new offers from the Mint. 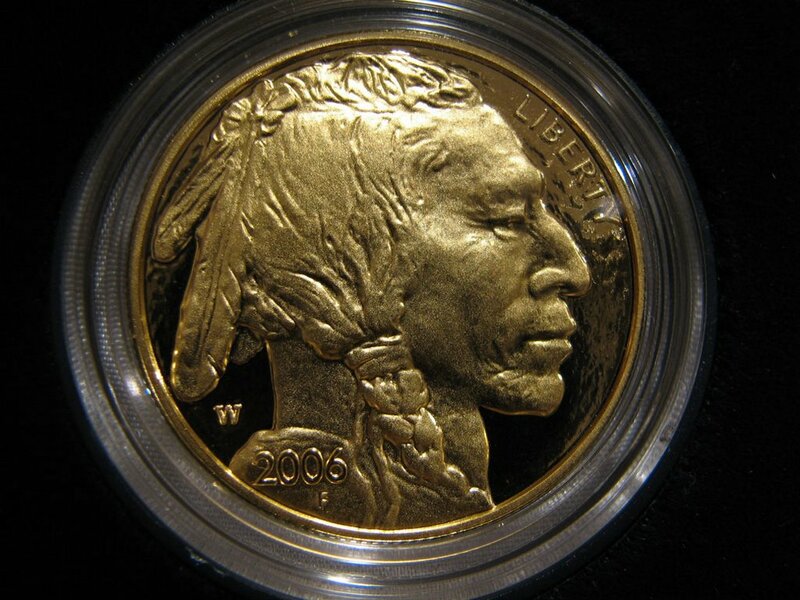 I mentioned that one coin I was interested in is the American Buffalo gold bullion coin. Like the Buffalo Nickel it was based on, if is a truely American design unlike any other coin ever minted. It is the only coin that represents a native American on one side and a beast that represents the growth and strength of a nation. But alas, the proof version is being sold for $800 from the Mint. Secondary market mark-ups start at $825 and have been as high as $1100! I joked about trying to sell more coins on eBay so that I could afford to buy one. The conversation moved onto the 20th Anniversary American Eagle sets and to the other Mint offerings. After oversleeping last Friday, I was rushing to leave for work when a delivery person rang the doorbell asking for my signature in order to deliver a package. After scrawling a pseudo-signature on his handheld device, I looked at the return address and recognized that it was a delivery from the Mint. Knowing I was waiting for an order I placed, I opened the package and was curious to find one small blue box that is similar to those used for the American Eagle coins. 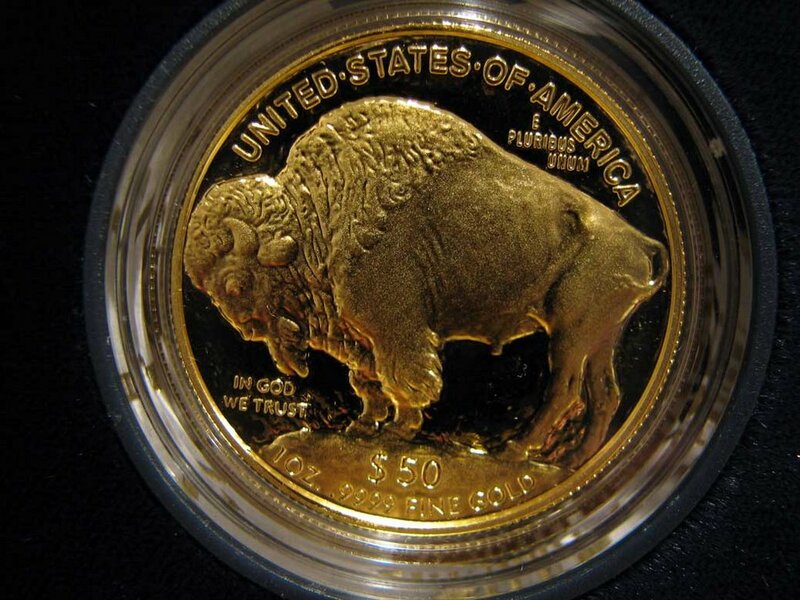 Once I opened the box and opened the velvet case, I was struck by the shiny beauty of a one-ounce proof American Buffalo $50 gold coin! What a beautiful coin. It is very faithful to the Type 1 Buffalo Nickel down to the “rough” background of the original. The contrast of the proof strike makes is a fitting tribute to James Earle Fraser’s design and the workmanship at the West Point branch mint. Although I am attaching pictures to this article and the Mint provides their pictures, no picture can do this coin justice. But wait… I didn’t order this coin! I fumbled for the enclosed invoice and found that my father bought the coin and had it shipped directly to me. In my surprise, I called my father to thank him. I am still surprised and still thankful for such a wonderful coin. Other than allowing me to show off, I hope this will inspire parents of young numismatists to maintain this interest over the years. Even if your interests may change and collection goals differ, numismatics is something that will get you through those tough times until the kids figure out that their parents aren’t as stupid as we thought they were!